Introducing myself and our work.. Ed Hubel from MI. and have posted our work around the net. that is getting around.The 585 Hubel Express. Here is picture of the first 585HE done and shooting in Australia. 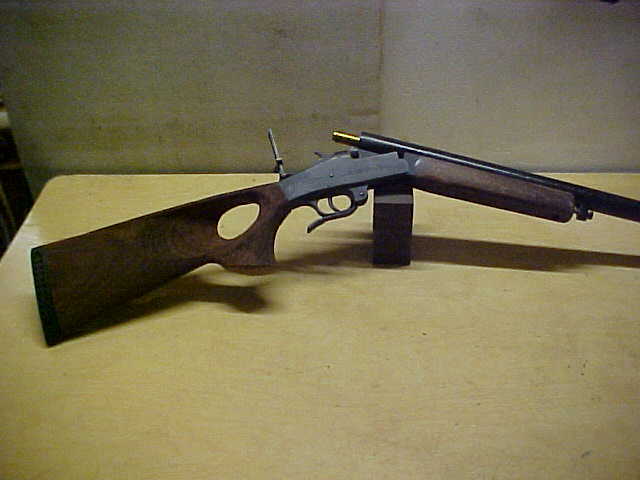 A nicely stocked Ruger #1, nice dark grained stock. It is owned by the poster, ''tankhunter'' on the AR forums. 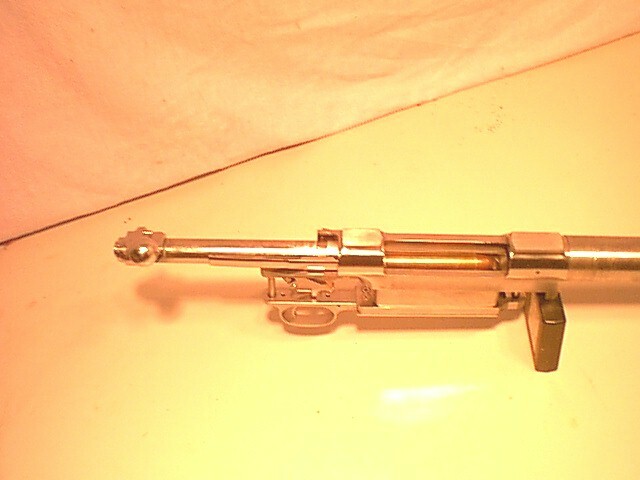 Built by his smith who has a reamer. Guys there can get cases from Bertram. Last edited by hubel585; 09-24-2014 at 01:12 AM. Interesting, what kind of ballistics does that round produce? Welcome to the forum from NW Arkansas. 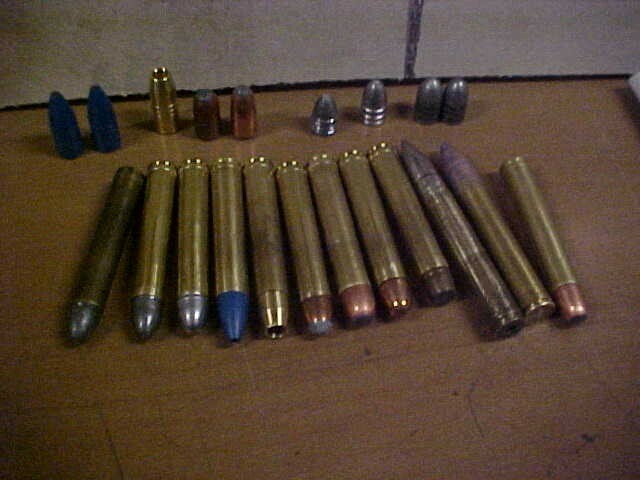 Never been around wildcat cartridges, but interesting to see what folks are working with. Heavy loads 200fps more, and can be loaded down 577NE levels. 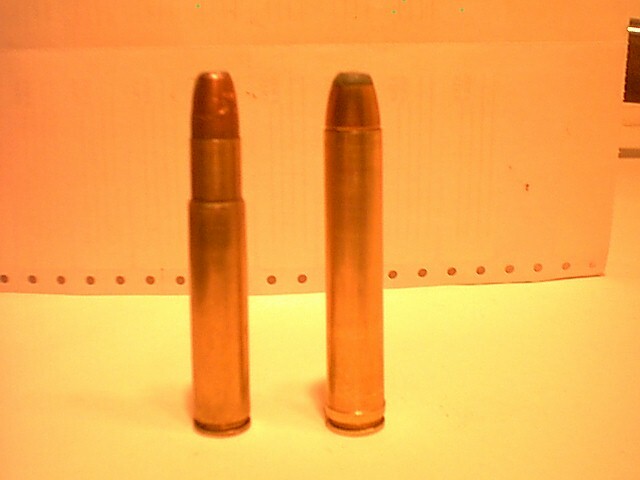 Max test load 650 gr over 3000, tough cases practically fall out. Last edited by hubel585; 05-18-2014 at 06:55 PM. I'm certainly no expert (but I did stay at Holiday Inn Express once) and I've never fired anything that large, including any .50 BMG. But you appear to be in .50 BMG ballistics territory. Or are you citing energy--ft. lbs.--rather than feet per second? If the numbers are velocities, how in the world is it possible to get those velocities out of a case that appears to be substantially smaller capacity than .50 BMG? Let me quickly add, I am not saying I don't believe you, I am definitely wanting to know how it's done. Thanks! Last edited by mitchstoner; 05-18-2014 at 09:52 PM. Time for the book "The Decline and Fall of the United States of America?" 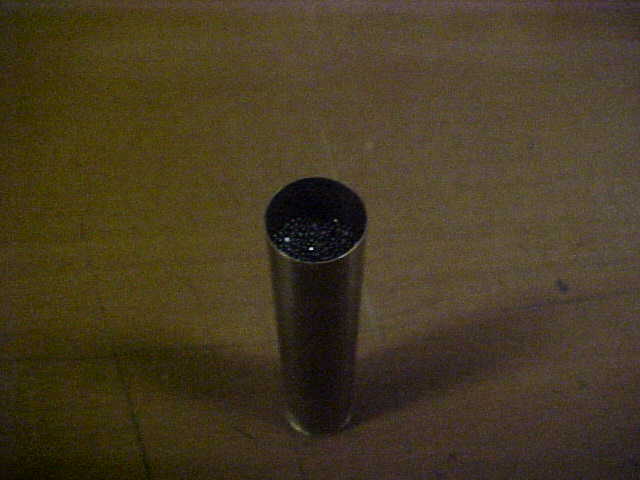 will hold 190gr ball powder below a 650 gr bullet. 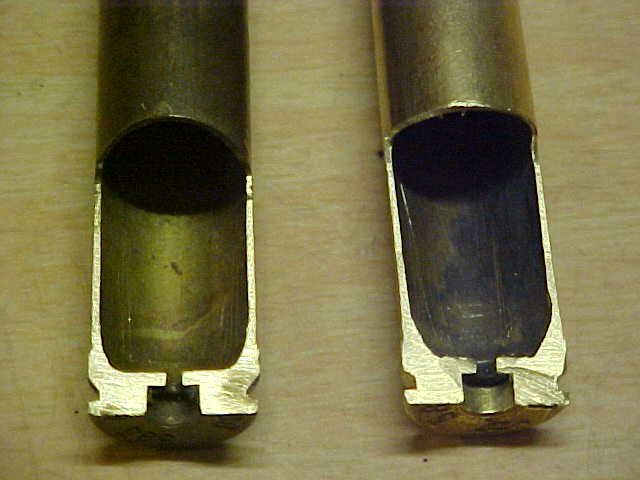 Cases hold more powder below bullet than bottleneck Trex. because without neck we can use faster powders..
expended to heat and friction, more pushing on the bullet. 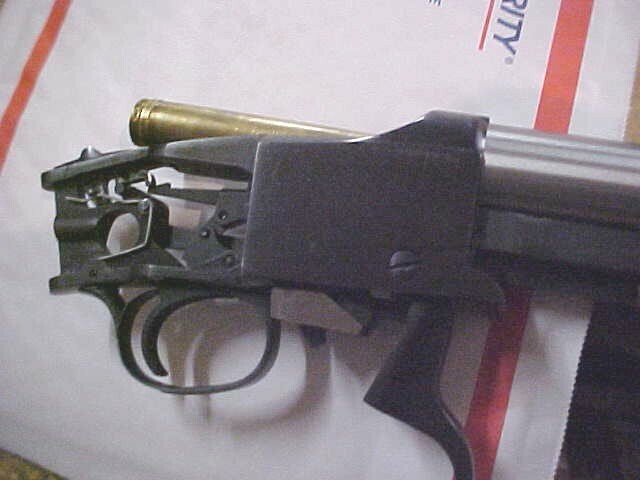 That has to have some pretty stout recoil. You have some neat ideas. 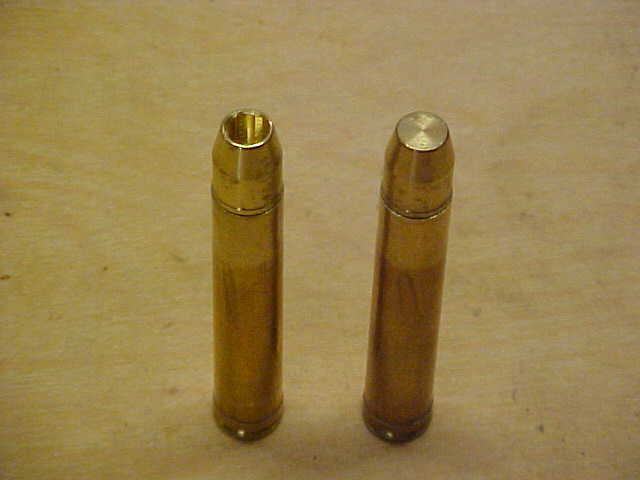 Asked a lot about using in Ruger #1, perfect case for the Ruger #1.
extractors I've seen work better with belted case than big rimmed. Ours holds more powder, cases built for extreme pressures. we made and the factory one sectioned showing strong built inside corners..
Last edited by hubel585; 05-19-2014 at 12:08 PM. Wow! Thanks for the info, Ed. And btw, welcome to the forum! I appreciate the info; starting to get interested in large bores. And large PLUS fast really gets my attention. 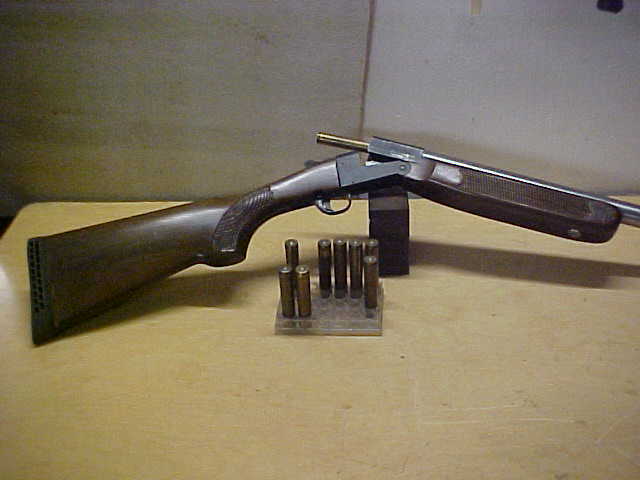 caliber over 458. Here are about a third we have found.. Dies available now are CH4D, 3 die set, with one inch thread. in 50cal trying to get same energy, are about 29%.